Texas-based Bilal Abood is an Iraqi-born naturalized U.S. citizen and member of ISIS.Deborah Hastings, “FBI arrests Texas man who pledged allegiance to ISIS, fought with rebels in Syria, agents say,” New York Daily News, June 15, 2015, http://www.nydailynews.com/news/national/feds-arrest-texas-man-allegedly-allied-isis-article-1.2222756. Abood served as a translator for the U.S. Army during the Gulf War and migrated to the U.S. in 2009, settling in Mesquite, Texas.Scott Shane, “Iraqi Who Worked for the U.S. Military Is Arrested in Texas in Link to Islamic State,” New York Times, May 14, 2015, http://www.nytimes.com/2015/05/15/us/iraqi-who-worked-for-the-us-military-is-arrested-in-texas-in-link-to-islamic-state.html?_r=0. In the same year, Abood began work as a security guard and in 2013 allegedly traveled to Syria for four months to fight alongside the anti-Assad Free Syrian Army.Deborah Hastings, “FBI arrests Texas man who pledged allegiance to ISIS, fought with rebels in Syria, agents say,” New York Daily News, June 15, 2015, http://www.nydailynews.com/news/national/feds-arrest-texas-man-allegedly-allied-isis-article-1.2222756. On July 9, 2014, the FBI obtained a search warrant for Abood’s computer on which it found pro-ISIS propaganda and tweets on Abood’s Twitter account pledging allegiance to ISIS leader Abu Bakr al-Baghdadi.Kevin Krause, “Judge orders Mesquite man accused of lying to FBI over terrorist allegiances held without bond,” Dallas Morning News, May 15, 2015, http://crimeblog.dallasnews.com/2015/05/judge-orders-mesquite-man-accused-of-lying-to-fbi-over-terrorist-allegiances-held-without-bond.html/. When the FBI returned Abood’s computer a year later on April 14, 2015, he reportedly claimed he had never pledged allegiance to ISIS.“Criminal Complaint,” United States District Court, Northern District of Texas, May 13, 2015, http://www.justice.gov/file/438636/download. The FBI arrested Abood on May 14, 2015, and charged him with making a false statement.“Iraqi-Born U.S. Citizen Arrested For Making False Statement to the FBI,” United States Attorney’s Office, Northern District of Texas, May 14, 2015, http://www.justice.gov/usao/txn/PressRelease/2015/MAY2015/MAY14Abbod_arrest.html. In court during a detention hearing, FBI Special Agent John Brown confirmed that Abood served as a translator for the U.S. Army in Iraq during the Gulf War. Brown asserted that it is due to his background of basic army training and occupation as a security guard that he poses a threat.Jason Whitely and Monica Hernandez, “Mesquite man detained; judge calls him flight risk, safety threat,” WFAA ABC, May 15, 2015, http://www.wfaa.com/story/news/local/2015/05/14/tweet-about-isis-could-send-mesquite-man-to-prison/27347493/. Abood remains in custody without bond and is awaiting trial.Kevin Krause, “Judge orders Mesquite man accused of lying to FBI over terrorist allegiances held without bond,” Dallas Morning News, May 15, 2015, http://crimeblog.dallasnews.com/2015/05/judge-orders-mesquite-man-accused-of-lying-to-fbi-over-terrorist-allegiances-held-without-bond.html/. If found guilty he faces up to eight years in federal prison and a $250,000 fine.Scott Gordon, “FBI: Mesquite Man Pledged Allegiance to ISIS Leader,” NBC 5 Dallas-Fort Worth, May 14, 2015, http://www.nbcdfw.com/news/local/FBI-Mesquite-Man-Pledged-Allegiance-to-ISIS-Leader-303803121.html. Abood’s girlfriend, Barbara Strebeck, spoke to the media after his detention hearing., and She claimed he is was not a terrorist and that the FBI had set him up.“FBI arrests Mesquite man it says pledged allegiance to ISIS leader,” Fox 4 News, May 14, 2015, http://www.fox4news.com/story/29068539/mesquite-man-arrested-for-lying-to-fbi-about-isil-support. 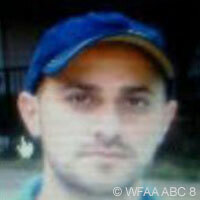 In October 2015, Abood pled guilty to charges of making a false statement to federal agents.“Iraqi-Born U.S. Citizen Admits Making False Statement to FBI,” Federal Bureau of Investigation, October 13, 2015, https://www.fbi.gov/dallas/press-releases/2015/iraqi-born-u.s.-citizen-admits-making-false-statement-to-fbi. FBI agent Thomas Class asserted that Abood “[had] lied to the FBI about the true purpose of his travel to Syria and his allegiance to ISIL,” adding, “…he will face the consequences.”“Iraqi-Born U.S. Citizen Sentenced to 48 Months in Prison for Making False Statements to the FBI,” U.S. Department of Justice, May 25, 2016, https://www.justice.gov/opa/pr/iraqi-born-us-citizen-sentenced-48-months-prison-making-false-statements-fbi. In late May 2016, Abood was sentenced to four years in prison.“Iraqi-Born U.S. Citizen Sentenced to 48 Months in Prison for Making False Statements to the FBI,” U.S. Department of Justice, May 25, 2016, https://www.justice.gov/opa/pr/iraqi-born-us-citizen-sentenced-48-months-prison-making-false-statements-fbi. ibn alislaam“Criminal Complaint,” United States District Court, Northern District of Texas, May 13, 2015, http://www.justice.gov/file/438636/download. @4albaghdady_l978“Criminal Complaint,” United States District Court, Northern District of Texas, May 13, 2015, http://www.justice.gov/file/438636/download. Texas-based Bilal Abood is an Iraqi-born naturalized U.S. citizen and member of ISIS. “Advice from Sheikh al-Hatari to the Elders of Al-Qaida- God save them…”“Criminal Complaint,” United States District Court, Northern District of Texas, May 13, 2015, http://www.justice.gov/file/438636/download. “I pledge obedience to the Caliphate Abu Bakr al-Baghdadi. Here we renew our pledge to the Caliphate Abu Bakr al-Baghdadi come on supporter where is the pledger.”“Criminal Complaint,” United States District Court, Northern District of Texas, May 13, 2015, http://www.justice.gov/file/438636/download.